jhsa wrote: Yes they look like they are the same part. I don't have oscilloscope but I do have the trainer cable and is working on the PC, so ppm signal good, right?. An the other test , when I turn the radio off t does wait a sec or two displaying the "shutting down"
Oh! man ...this are good sign , right? Hi Testo,thanks a lot ,it does help me alot,did u finally make it work again with the last issue getting signal on the receiver?? Abach wrote: I don't have oscilloscope but I do have the trainer cable and is working on the PC, so ppm signal good, right?. Not quite, the PPM signal that goes to the trainer port comes from a different pin. I will describe a test you can do to test the module PPM pin with the trainer cable. when I turn the radio off t does wait a sec or two displaying the "shutting down"
Go to the Radio Setup/Trainer menu and Program a trainer profile with "Jack" as source, as if you were receiving PPM from a Slave (student) radio. Turn the radio OFF. 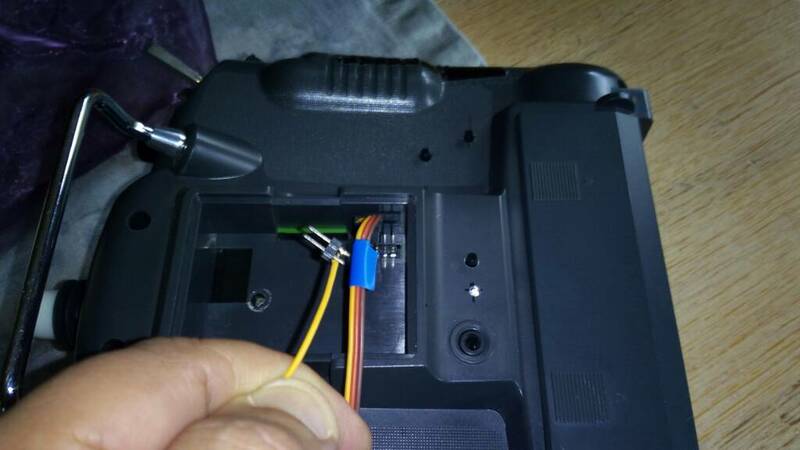 You will need to use pin 1 of the module bay, so please isolate the other pins so you do not do any short circuit while testing on Pin 1. this is important. at least isolate pins 2 and 3. a piece of thin shrink tube around each of them is ok. 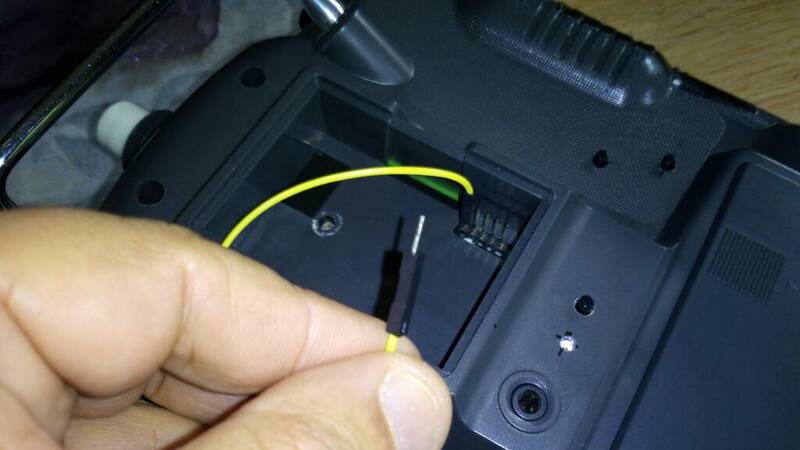 If you have a servo cable, you can also connect it to pin one and bring its connection outside the radio. Like that you don't touch the other pins by mistake. Ok, after you done that (don't skip it) you need to turn the radio ON. Then plug the trainer cable to the trainer port. Now touch the tip of the other jack plug to PIN 1 of the module bay. Go to the trainer menu. While touching the tip of the jack plug on pin one, do the numbers of at the bottom of the trainer menu change when you move the sticks?? I will post a picture or two of how I would connect the jack to pin 1. Thanks for everything, I did repair thanks to your help.